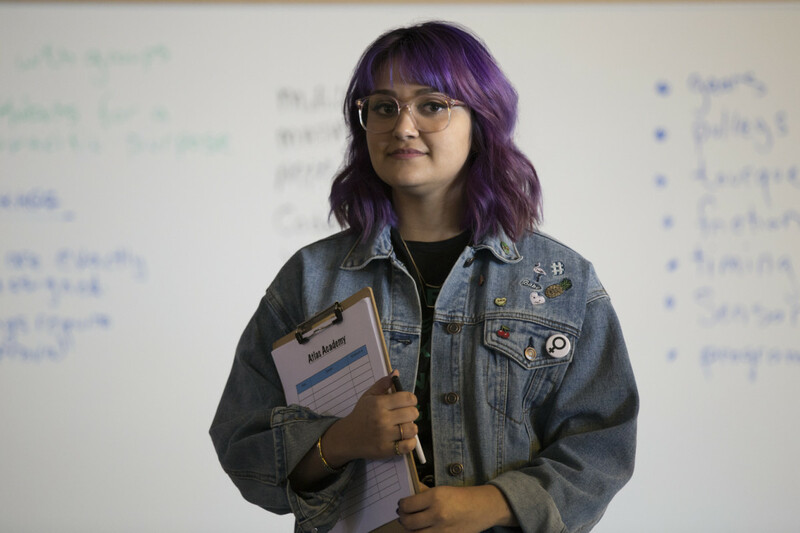 Caution: The article below contains spoilers for Season 1 of Runaways. Hulu had just uploaded the season finale for it’s original show, Runaways. Despite being a short run of 10 episodes, the show has captured audiences. Based on the Marvel comic of the same name, this is Hulu’s first original Marvel show, rivaling Netflix’s six shows. Marvel TV now has shows on ABC, FOX, Freeform, Netflix, and Hulu. Compared to the television flops of 2017, such as Netflix’s Iron Fist, ABC’s Inhumans, and FOX’s The Gifted, Runaways is a fresh breath of exhilaration and youth. The show’s costume design for each of the characters creates a more ‘comic’ feel. Characters such as Nico, have such an outlandish style that’s iconic and stands out from the others. All of the characters have some sort of theme in their costumes. Karolina having a more feminine vibe. Chase having a more preppy and suave look. Gert having a very anti-patriarchy and feminist design. Molly, being the baby of the group, dresses more child-like and fun. Alex, being the only one in the TV series without a ‘real’ weapon or power besides his intelligence, dresses casual, but nerdy. The show utilizes high-school archetypes to it’s advantage. Everyone falls out of touch and into their own clique,but it is when they reunite that they shed their expected character arcs. Gert, a one-woman army determined to destroy the patriarchy, falls for Chase, the rich lacrosse jock, who also falls for her. Karolina, the popular good girl, rebels against her church and comes out as interested in women, particularly Nico. 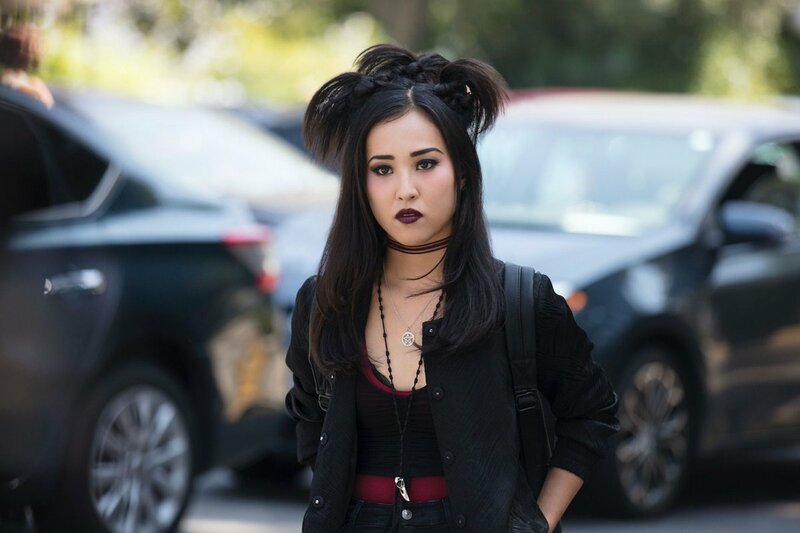 Compared to other Netflix series, Runaways is refreshingly lighthearted. While the issue at stake ends up involving the destruction of the world, the plot primarily revolves around their own problems and how monumental they believe they are. I felt so blessed that the season finale did not contain a beam up into the sky, such as many other superhero journeys. It feels nice to have a superhero show more concerned with personal conflicts, such as family and first love. Which is why I think Runaways is classified more as a Teen- Drama, which makes it so much more different than anything else. After watching The Gifted on FOX, I was extremely disappointed and was left unexcited for this series, but it surprised me. It definitely feels like a show that panders to a younger and feels like something you would watch on FreeForm or MTV, but that’s not necessarily a bad thing. 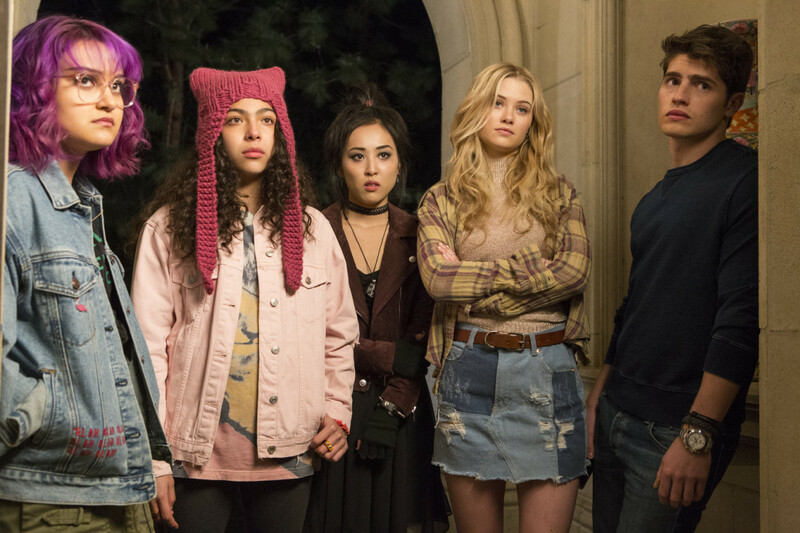 Produced by the same streaming service that created The Handmaid’s Tale, I feel as though Marvel’s Runaways has a lot in store for audiences.